RENO, Nevada (AP) — In a story Jan. 21 about four recent Nevada killings, The Associated Press reported erroneously the suspect’s age. Wilbur Martinez-Guzman is 19-years-old. 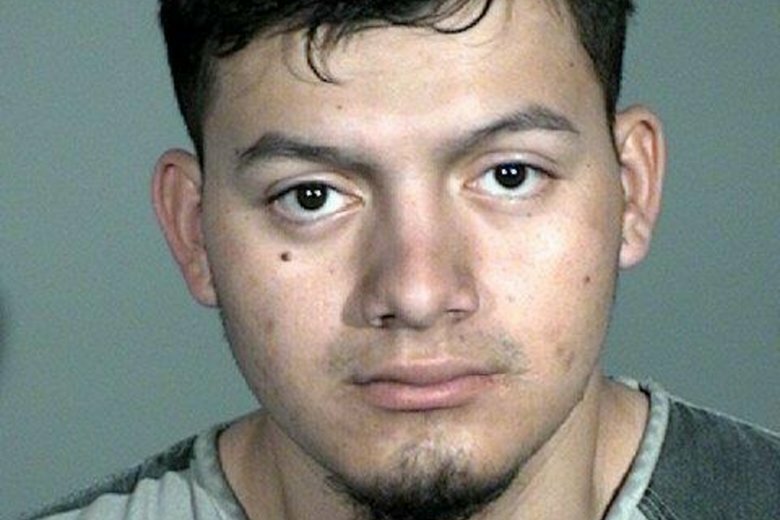 RENO, Nevada (AP) — Authorities investigating four recent Nevada killings say murder charges are pending against a man suspected of being in the U.S. illegally. Wilbur Martinez-Guzman, 19, was arrested Saturday in Carson City and is being held on possession of stolen property, burglary and immigration charges. Authorities say they expect to file murder charges against him in the coming days in the shooting deaths of an elderly Reno couple and two women who lived near the town of Gardnerville. Carson City Sheriff Ken Furlong said at a Sunday news conference that federal immigration authorities told his office Martinez-Guzman had lived in Carson City for about a year and was in the country illegally. Furlong said Monday he didn’t know where Martinez-Guzman is originally from, and a message left with U.S. Immigration and Customs Enforcement was not immediately returned. President Donald Trump mentioned the killings Monday in a tweet calling for his long-promised border wall. Authorities say Connie Koontz, 56, was found dead Jan. 10 in her home in Gardnerville Ranchos, about 15 miles (24 kilometers) south of Carson City. Three days later, 74-year-old Sophia Renken was found dead in her home about a mile from where Koontz lived. On Wednesday, the bodies of 81-year-old Gerald David, and his 80-year-old wife, Sharon, were found in their home on the southern edge of Reno, about 20 miles (32 kilometers) north of Carson City. Furlong said the investigation is ongoing and it’s too soon to comment on a possible motive. He said Martinez-Guzman didn’t yet have an attorney who could comment on his behalf. This story has been corrected to show Martinez-Guzman is 20 years old, not 19.